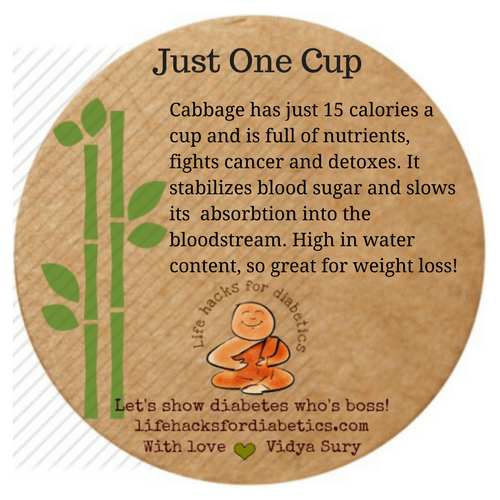 Cabbage has just 15 calories a cup and is full of nutrients, fights cancer and detoxes. It stabilizes blood sugar and slows its absorption into the bloodstream. High in water content, so great for weight loss!